Are you overwhelmed by complex and overpriced offerings from traditional financial advisors? You’re not alone. 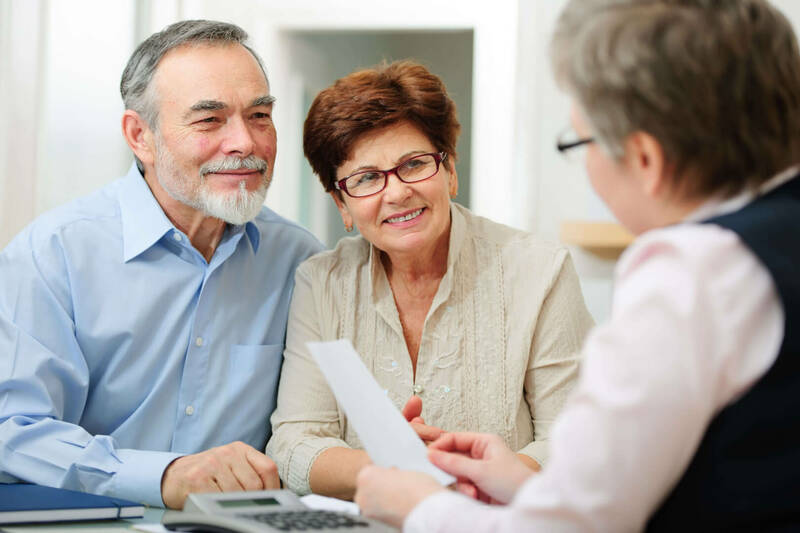 Expensive investment advice may be what they offer, but what you really need are understandable answers to basic financial planning questions that you and many other consumers have. Are you looking for unbiased investment strategy guidance through all phases of life? I do not receive fees from any direct or indirect third parties so my commitment is exclusively to my client. I do not take custody of your assets but instead, offer a better approach - guiding you to use low cost mutual funds for your investments. Do you want understandable financial planning services at affordable fixed prices? I create a financial roadmap with you, advise you how to invest your 401K, IRA, and other savings, plan your retirement strategy, and provide trustworthy and understandable financial guidance for other questions you may have. Hello, I’m Jimmy Becker. I began my career on Wall Street as an options arbitrageur and understand the financial services industry from the inside out. My mission is to level the playing field between Wall Street firms and Main Street clients by offering on-demand financial planning services that are unbiased, understandable, and actionable. I earned an Economics degree from Brown University and an MBA from the Yale School of Management. I also create and present customized workshops on different dimensions of financial planning and decision-making to audiences of all ages, including employee groups, adult education learners, and students. Do you need a financial roadmap? We will create one that is actionable, specific, and achievable. It will guide you on how to manage your spending, save for your personal goals, pay off your debts, and put you on a path to financial security. Do you need an independent and unbiased assessment of your investment portfolio? I will evaluate all your investment accounts, including your 401Ks, and make recommendations for an optimal investment strategy for you based on your financial situation, goals, and risk preferences. Do you know if you are on track to retire? 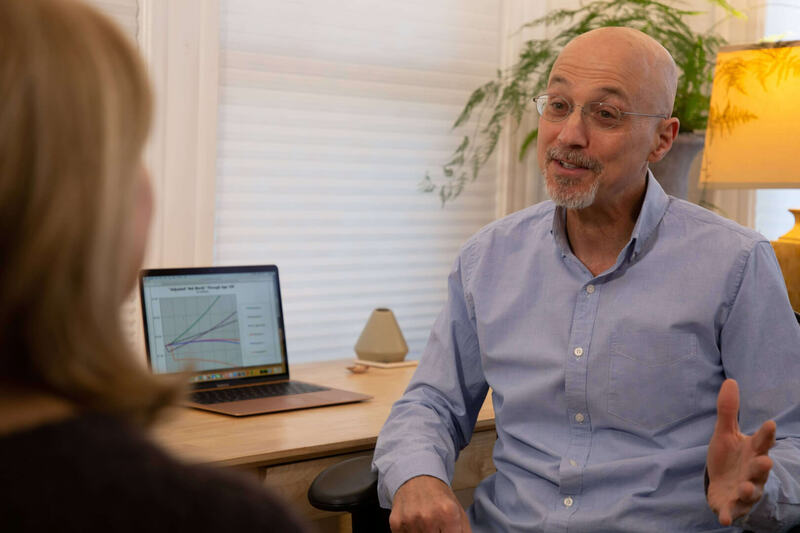 I offer a comprehensive analysis of your financial readiness to enter retirement, including forecasting future scenarios of how your retirement may unfold, as well as options to mitigate any future risks. You’ll learn how much to be saving for retirement and if you’re on track now. Jimmy reviewed my current situation with me and patiently walked me through the steps to improve my investment strategy. I had not realized how much money I was wasting in unnecessary fees. I am not financially savvy so I was grateful that he never talked over my head or talked down to me. This was the best $500 I ever spent. Jimmy gave me a clear picture of how my retirement will unfold, how to invest my IRA, and the confidence that I am on-track financially. Jimmy was a big help in many ways — time, money, and stress. I was going through a divorce and was inexperienced in managing my finances. He helped me to understand my financial situation and guide me to a path forward. I'd been ignoring my finances for years. I appreciated Jimmy's patient and mindful approach to financial planning. He definitely lowered the stress and anxiety I had been feeling. Jimmy is gifted in finance and teaching - the perfect combination for a financial coach. He thinks creatively, explains clearly, and understands how stressful money is to most of us. He's by far the best financial planner we've worked with and we now have clarity on our finances.